Revealed: Here are the top ten best classic car clubs, as voted for by YOU! 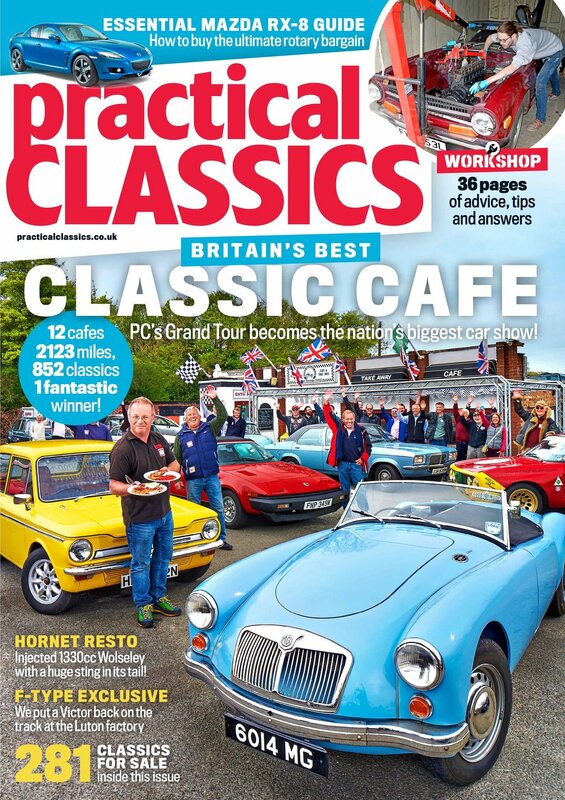 We can now reveal the ten local classic car clubs that we will be visiting on our amazing trip around Britain, in partnership with Footman James Classic Insurance. The competition has attracted thousands of votes. ‘It has really captured the imagination of the classic car world,’ said Footman James boss, David Bond. ‘We’re celebrating the heroes at the heart of the movement; the people on the ground doing remarkable things to keep the classic scene thriving.’ Over 150 individual regional and local clubs were nominated and you’ve been voting in your droves to whittle the list down to our ten finalists, below. At the end of June, we’ll visit each of the top ten clubs on an epic jaunt – and, as ever, you’re invited to join us at each stop and en route, as well. The final route will be announced in the next issue, but first we need your help. Come along to the PC or Footman James stands at the PC Resto Show (March 22-24) to nominate your favourite driving road for inclusion in our round Britain journey from club to club. BRITAIN’S TOP TEN BEST CLASSIC CAR CLUBS ANNOUNCED! This club was formed in 2011. With over 300 members, it has raised over £13,000 for charity through a variety of annual events. Formed in 1995, the NWCC group is a friendly, multi-make club. An enthusiastic committee plus over 100 members with a large number of vehicles hold many events, including an annual show. A very active car club with over 100 members and cars ranging from 1926 to 1990. There’s always plenty going on – from an annual show raising money for charity to regular meets and drive outs. No membership fee, committee or agenda, just regular meets where members are encouraged simply to chat with like-minded individuals. ‘Sadcases’ can bring their pride and joy or just themselves. They meet at The Scotch Piper Inn in Lydiate every Monday evening from 18:30. There’s also a Sunday afternoon meet on the third sunday of every month from 12:30pm. South Wales Classic Car Club (SWCCC). Formed in 1983, the SWCCC currently boasts a membership of around 100 and puts on an annual show (Classics in Cardiff) to raise money for local charities. Torbay old wheels club, Devon. Based in the Torbay area of South Devon, Torbay Old Wheels Club was originally founded in 1992 by a small group of classic-loving friends. Since then the club has grown to around 130 members today.